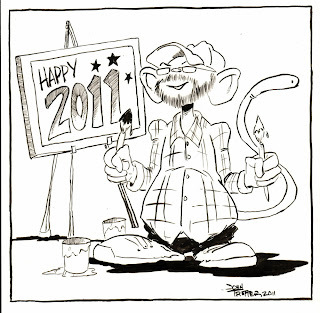 Paintmonkey Studios: It's a Paintmonkey kind of New Year! First order of business: Happy New Year everyone! Hope everyone had a fun and safe ringing in of the holiday! Now on to art business. I am not a fan of New Year's resolutions for all the normal reasons...too much pressure, setting yourself up to fail, yadda yadda. Change is inevitable anyways so why force it upon yourself? ANYHOO...so I don't normally make resolutions. Okay, we get it. However, my wife asked me if I was making any this year and my first thought was the usual "Heck no! I'm perfect the way I am!" (HA!) But the more I thought about it the more I thought about applying it not so much to me as applying it to the Paintmonkey (can you tell I read a LOT of comics? I think I just gave myself a poorly guarded secret identity.). And in this pondering of ways to better my artistic side and budding career I came up with my first resolution (possibly EVER). 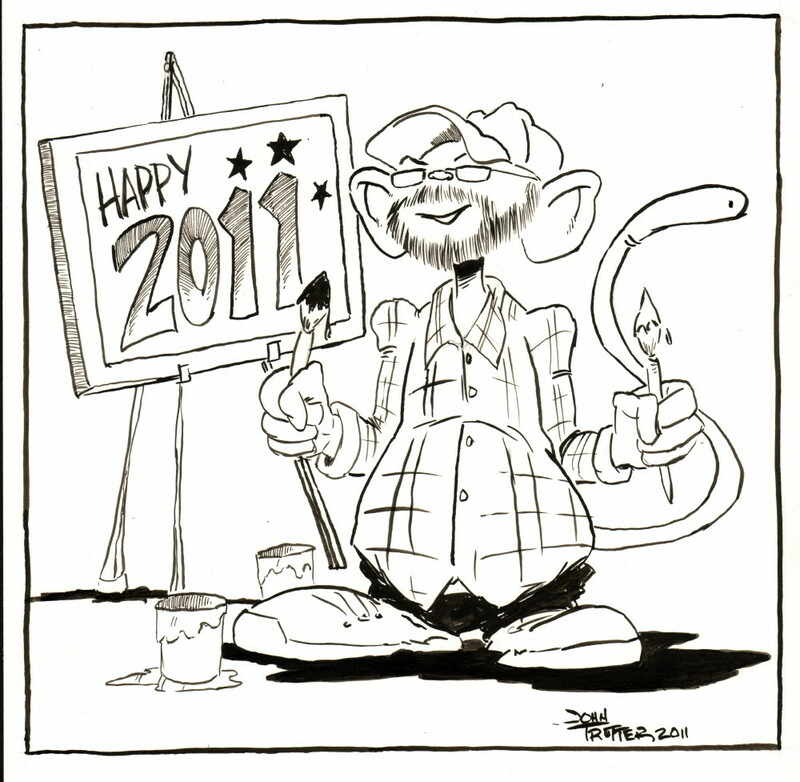 I am going to attempt to post a new artwork every week for the year of 2011. Be it painting, drawing, cartoon, or just a sketch I'm happy with (yep, gave myself an easy out anyways.) I spent the better part of today coming up with the above self portrait and I think it is a fine way to kick off what is to be (hopefully) a BIG year for all of you and the Paintmonkey! Secret identity......hm-m-m-m-m, complete with plaid, flannel shirt......I like it! The work I've seen this past year on your website has been great. Keep it up! I will look forward to each new edition/submission/??? of your "resolution". By the way, Happy New Year to you and your wife! And a very happy New Year to you! Thanks for the compliment! You make this old monkey blush!